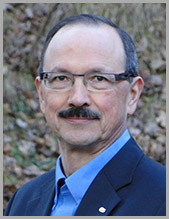 Ronald G. Capelle, President and CEO, has over 35 years of organization experience. He and his colleagues have developed the Optimizing Organization Design® approach. This approach is based on over 100 large scale projects and 24 research studies that they have conducted over the past 25 years. The research and client experience shows that this approach leads to better employee satisfaction, better customer satisfaction and better financial performance. 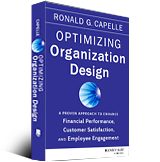 Ron has written Optimizing Organization Design: A Proven Approach to Enhance Financial Performance, Customer Satisfaction and Employee Engagement (San Francisco, Jossey-Bass, 2014). This book includes a description of the approach; insightful comments from over 30 executives on their success in using this approach; 23 previously unpublished research studies; and four case studies. Ron has successfully completed many very complex projects, including improving the operations of an organization in over 60 countries. He has consulted with virtually all types of organizations in the private sector, non profit sector and the government sector. He has supported global clients with operations in North America, South America, Europe, Asia, and Africa. As well as consulting, Ron has completed extensive research into organization design and uses the data to offer clients a customized, proven approach to strategic organization design. This includes benchmarking databases with over 59,000 manager – direct report relationships and over 13,000 employee satisfaction questionnaire responses. 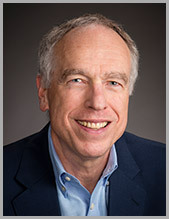 With a Ph.D. from York University, Ron is also a Certified Management Consultant (CMC); a Certified Organization Development Consultant; a Registered Psychologist (CPsych); a Certified Human Resources Professional (CHRP); and has completed the academic requirements for the Directors Education Program (University of Toronto Rotman School of Management and ICD Corporate Governance College). 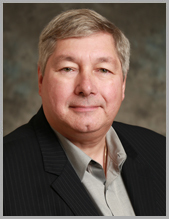 Raymond Daigneault, Senior Vice President, has over 35 years of organization experience and has provided a significant contribution to developing our Optimizing Organization Design® approach. Raymond has extensive experience in working with CEOs and senior executives. He has provided organization design consulting services to organizations in varying industries/sectors including Health Care (Pharmaceutical, Laboratory Services), Financial Services (Banking, Insurance and Associations), Energy, Mining, Manufacturing, Transportation and Retail. His organization design consulting experience includes conducting organizational assessments of opportunities, designing and implementing change programs tailored to the unique requirements of our clients, and advising how to better align tasks. Before joining Capelle Associates, Raymond led diverse business functions such as risk management, strategic planning, and managing changes in an organization. He has a strong background in merging and restructuring business units, designing organizations and implementing effectiveness programs. He has been accountable for planning and executing a joint venture program to merge a line of business from two major organizations to create a new North American company. He brings significant business experience to our clients. Fully bilingual, Raymond is a Certified Management Consultant (CMC), and a Fellow of the Institute of Canadian Bankers (FIBC). Dwight Mihalicz, Senior Vice President, has over 40 years of organization experience and has provided a signifcant contribution to developing our Optimizing Organization Design® approach. He brings extensive experience and knowledge to our corporate clients. His past experience includes senior management positions in national and international organizations. He has been involved in the leadership and strategic planning for large-scale, complex projects such as global redesign and start-up operations. He has provided organization design consulting services across all sectors, including utilities, financial services, health care services, and not for profits. His services have included organization design assessments, planning and managing organization design implementation projects, and conducting task alignment improvement processes. Dwight had extensive experience in supporting executives and executive teams to transition their organizations using customized transformation projects. This has included a variety of projects from single business one location organizations to large, complex national and multi-national organizations. Dwight completed his MBA at the University of Ottawa and is a Certified Management Consultant (CMC). He is the author of several publications. Along with his current position at Capelle Associates, Dwight is involved in philanthropic work. He has board experience is local, national and international organizations, and is currently an Officer of the Executive Committee of the International Council of Management Consulting Institutes. 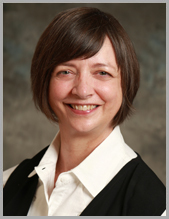 Karen King, Vice President, has over 30 years of experience in education, training and consulting. She has worked in the business, government, education, and volunteer sectors. Some of her prior positions have included developing and managing a province wide leadership program, and creating and managing a training and development department for a large international financial services organization. She has had a variety of organization design consulting experiences. Karen has a B.Sc. from the University of Waterloo, an M.Ed. from Brock University, and numerous post graduate courses in early childhood education, the history of education, and educational philosophy. As an inveterate learner, she has recently added accounting as a new field of learning. John W. Young, Vice President, has over 35 years of private sector experience in human resources management at tactical and strategic levels across many industries including consumer and business services in the USA, Canada, the UK and internationally. He led the evolution of the Human Resources function for Four Seasons Hotels and Resorts from 1983 until retiring as Executive Vice President at the end of 2003. He has extensive experience in aligning people development systems and organizational design with the goals and cultural values of business units during periods of rapid international growth as well as in start-ups, acquisitions and divestments. Throughout his career, he has worked as a member of senior management teams on the design and implementation of integrated, cost-effective approaches to enhancing individual and team performance. In addition to his role with Capelle Associates, John serves as a member of four Boards. He is a regular conference presenter. 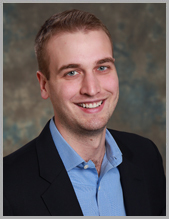 John completed his MA at the University of Edinburgh, his MS in Organization Behavior at California American University and holds his designation as a Certified Human Resources Professional (CHRP). Bob Lavery, Director, Research and Analysis, has worked in the public and private sectors in a variety of positions, including operating his own research, statistics and data management company. He manages our organization design data, statistical analysis and research functions. Bob has a B.Sc. from the University of Toronto and a M.Sc. from the University of Western Ontario. He has a Ph.D. from Queen’s University in Kingston, and was a NSERC post-doctoral fellow at the University of California, Berkeley. He has published research papers in professional journals and magazines. 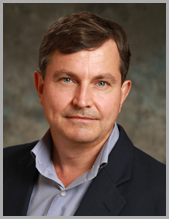 Graeme Capelle has worked with organizations in both the public and private sectors. This work has included organization design, capital planning, and leading the redevelopment of a comprehensive performance measurement system. Immediately prior to joining Capelle Associates, Graeme worked as a Senior Consultant with EY (formerly Ernst and Young), providing cost improvement, performance management, and organization design advisory services. 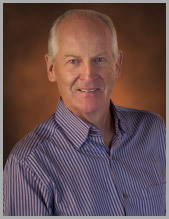 Graeme provides consulting services in organization design assessment, implementation and task alignment. Graeme has a B.Sc. from the University of Western Ontario and an MBA (Co-op) from the DeGroote School of Business at McMaster University. He is currently pursuing his Certified Management Consultant (CMC) designation. 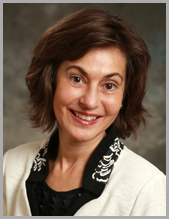 Ivanka Dimitrova is accountable for providing client services, supporting marketing initiatives, and managing the office at Capelle Associates. She has over 20 years of experience in administration, office management, and development. Her varied background in different organizations has prepared her to deliver appropriate solutions to complex issues. With a bachelor degree in Literature, and an educational background in economics and web design, Ivanka continues to expand her academic career and is currently pursuing her CGA designation. We are now in the eighth year from the time that you initially supported us with an organization design assessment and implementation … all of the key foundational organization design principles have remained intact within Allstate ... in 2013, we have been selected by AON Hewitt as one of the Best Employers in Canada ... In addition, over the last three years, we have outperformed the industry on all key performance metrics.